Dr. Bashir and Chief O'Brien assist two long-warring races in disposing of their stockpile of biological weaponry. Things take a turn for the worse, though, when those races also decide to dispose of anyone who has worked directly with the weapons, to prevent their ever being re-created. Do you think we're still invited to the party, Chief? TNG podcasts are now up to date as well. I honestly don't know how seasons three and four slipped through the cracks. 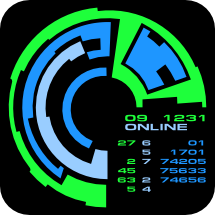 Seasons 1 and 2 were all converted the new server links. Perhaps I was distracted by something shiny. It happens. In any event, all the links should be working. I am choosing to take it as a positive sign that I got notified right away by a commenter I didn't recognize. I guess that means we're getting more popular. Excellent! The Bajoran doctor who first worked with Odo after he was discovered comes aboard the station. 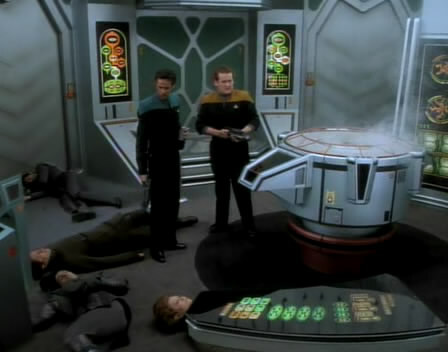 It is not a happy reunion for Odo, who resents the experiments performed on him. 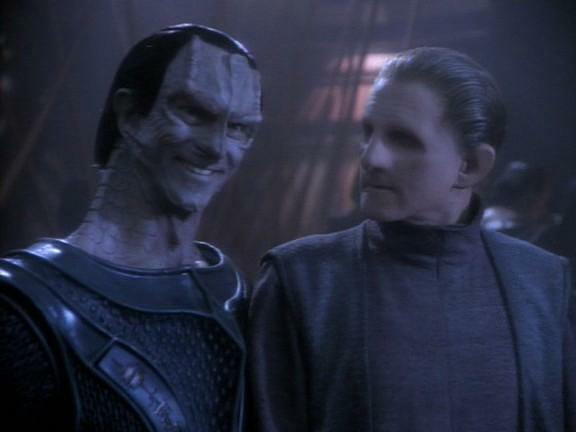 The doctor has an intriguing reason for seeing Odo. 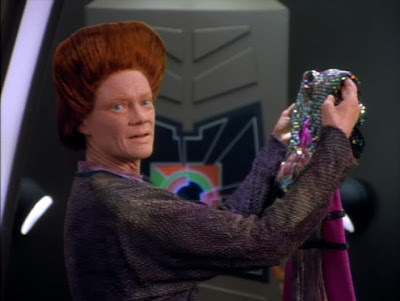 A Bajoran probe has found the possible origin of Odo's people. As much as Odo is not eager to relive his early years, the possibility of finding his origins is too tempting to ignore. Hey, I can see my house from here! Oh wait, that's just a painting on the wall. I am now able to happily report that all the TOS podcasts are working and the links have been corrected to the new server in the posts. So, why not wrap up this holiday weekend with a little TOS podcast? If somehow I missed one, just leave a comment or email us, and I'll fix it. Enjoy everyone! Hello everyone! 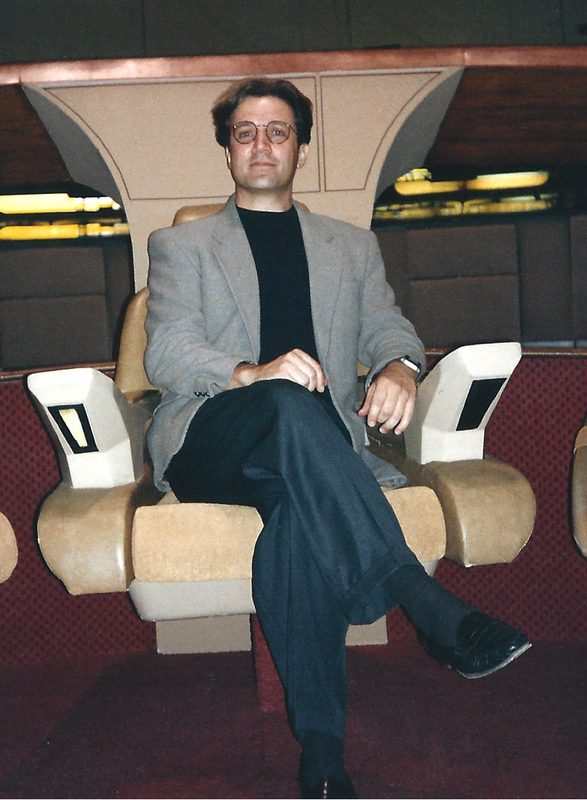 Here in our second interview with Trek franchise creators, we have Ron Wilkerson, a screenwriter for both The Next Generation and Voyager. 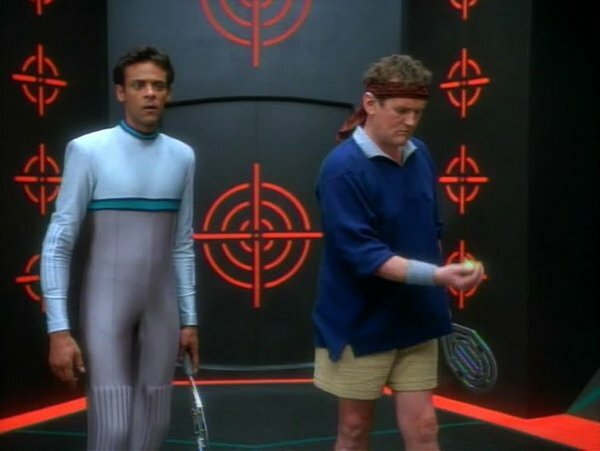 Ron has full writing credits on TNG "Lessons" and Voyager's "Learning Curve," and story credits on episodes such as "Lower Decks" and "Schisms." Our questions are in bold-face, while Ron's answers are in regular type. 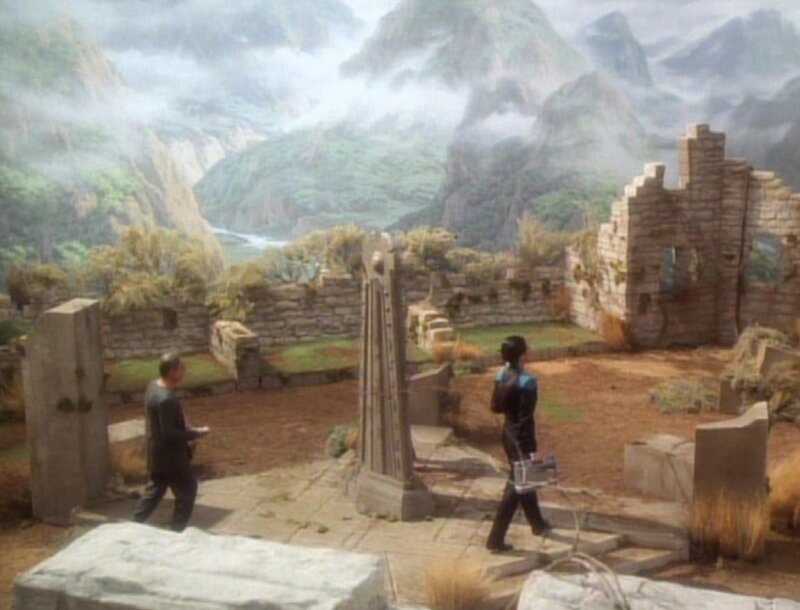 TNG writers get one free time travel trip to the 24th century. Lucky ducks. Q: How did you become involved in Star Trek? I've been a scifi fan since I was a kid, devouring the works of writers like Ray Bradbury, Kurt Vonnegut and Rod Serling by flashlight, under the bedcovers, in our home where I grew up in Western New York. The stories that particularly appealed to me were those that used science fiction to deal with the human condition. A unique attribute of the scifi genre is speculating about future scientific developments in order to ask the big questions about philosophy and values. This, obviously, was Gene Roddenberry's imperative with Star Trek, that all stories must be "about something," which led me to a real appreciation of TOS, which I saw mostly through reruns long after it had gone off the air. I completely forgot to upload the podcast for Necessary Evil with the episode review. I updated the post, but here's the link again, so it will get your attention. A group of refugees from the Gamma Quadrant arrive at the station. Called the Skrreeans (I had to look that up every time I typed it in this review), their home was conquered by the Dominion. Skrreean legend tells of finding the wormhole and a new haven for their people, which they now believe to be Bajor. The only problem is that the small group of refugees will soon be followed by three million more. This dress is the most hideous thing Haneek has ever seen. Has she looked at her hair in a mirror lately? When he is conscripted by the Grand Nagus to travel to the Gamma Quadrant to broker a trade deal, Quark's career is placed in jeopardy by an unexpected amorous advance. Did anybody else think Quark protested too little when his apparently male waiter jumped him in the sack?